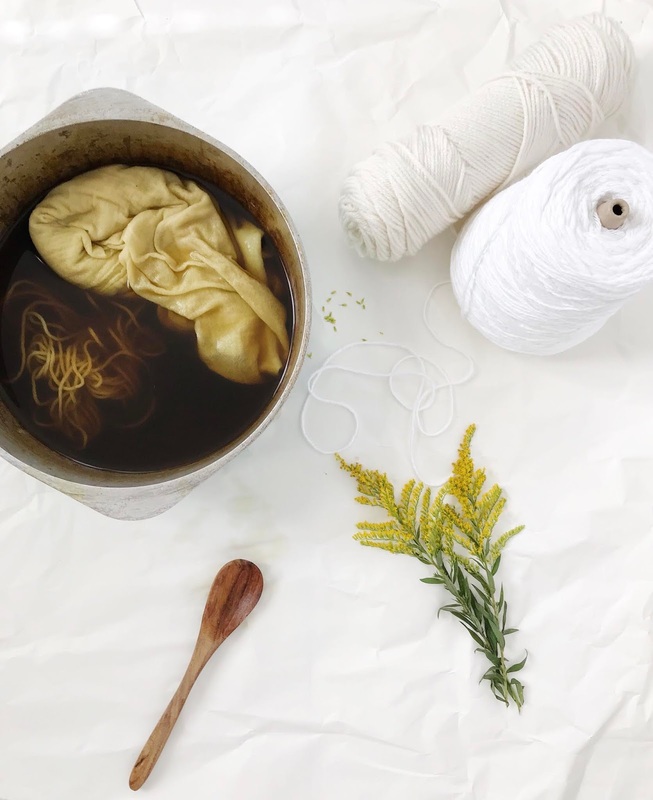 I've been working on this little project for a couple of days and I'm super excited to share it with you. When I brought out all of my boxes of Christmas decorations this year I wasn't really excited about all of my ornaments. In the past couple of years my tree has been silver, black, and teal, which was really pretty but didn't quite match my home or taste anymore. I wanted to do a complete Christmas overhaul but ornaments are pretty expensive these days. 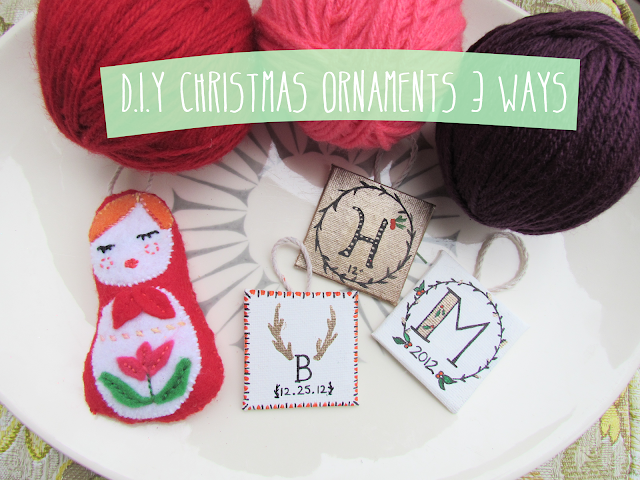 I decided that it couldn't be too hard to make some really cute ornaments on a budget, so I checked out pinterest and gathered my ideas together. I'm really in love with how all of them came out! I found the idea for this little cutie on Pinterest and used the basic idea of it to make my little doll! If you hop on over to My Sparkle you can get all the directions you need and even a printable template. I conqured this without the template because to be honest I ran out of ink for my printer but I think it turned out super cute! These were super easy to make, they probably took me about ten minutes. I have seen the yarn wrapped ornaments at Pier One and other fancy places that were pretty pricy for such a basic concept so I tried it out. I wanted my yarn ornaments to look like actual balls of yarn that you would use for knitting, though I have seen examples like this, where all the yarn is wrapped around horizontally and very neat. I followed the instrustions for the one linked but I used a hot glue gun, after I had the whole ball covered in yarn I began to wrap it a few times in each direction so I looks like a little yarn ball. I love how they turned out, they give my tree a very homemade crafty look! These just sort of came to me while I was wondering around the craft store looking for all my other supplies. I saw a pack of these tiny canvases and thought they would be awesome stocking stuffers or ornaments, so I went with the latter. I drew out my designs in pencil to make sure that everything looked exactly how I wanted and then I got to work. I used the paint marker to outline everything and for all the fine lines and then accented everything with the different colors of paint I chose. 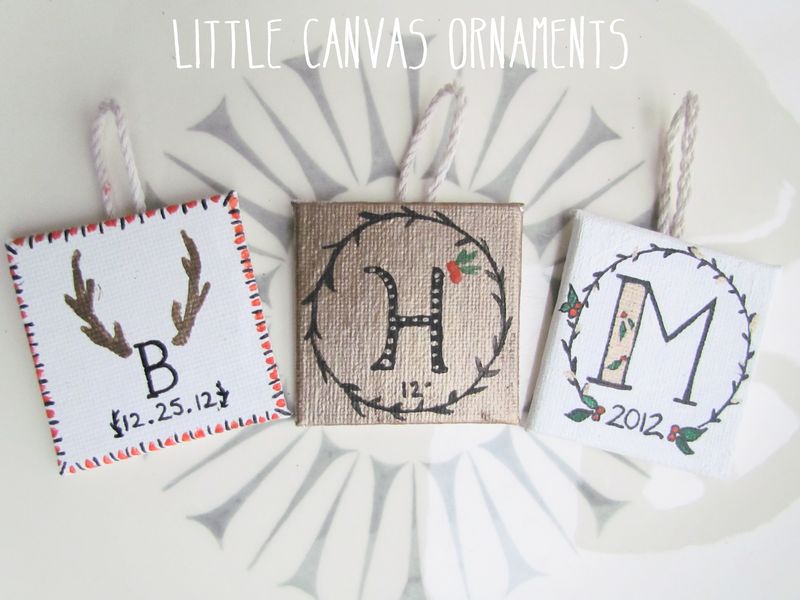 These would be awesome personalized ornaments you could make for your family or use as gift tags for friends. If you try out any of these ornaments let me know how they turned out! Cute, I can't wait to start crafting! Let me know how it goes! Btw, I need to email you soon lady! 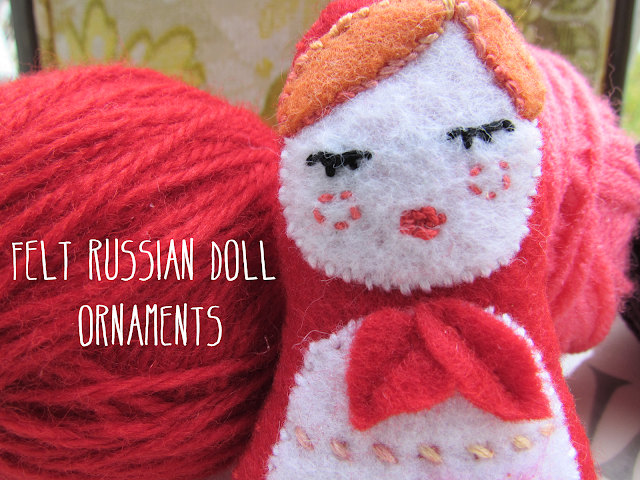 Goodness, the Russian doll is so adorable! They are so fun! super easy to do! Oooooo. 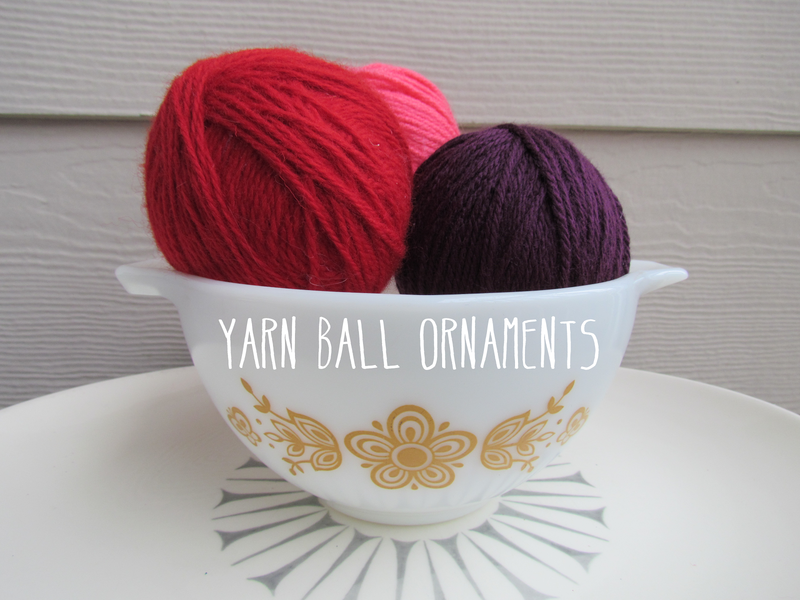 I love the yarn ball ornament! That is very fitting for me. Also like your shroom ornament up on your tree! Is it home made?? I love these! The Russian doll decoration is so cute! New follower here :) Wishing you all the best for the New Year. For the love of Pyrex.